Learn the easy ways to freeze kale in two easy ways to use for recipes, smoothies, and more. Enjoy the health benefits of kale all year round. Follow my tips below on freezing kale and how to use it in recipes. We have officially started harvesting at our little homestead! And oh man, do we have a lot of kale! Apparently, I didn’t realize how much I actually planted. Oops. I just picked two small spots and now they have turned into crazy kale making machines! So now that we have it coming out of our ears we are preserving our harvest by freezing it for later. We are not huge raw kale eaters, but we love putting them in smoothies, soups, and eating Kale chips! It’s been about 2 weeks since I froze our kale and its about time to freeze some more! With the warm weather and tons of rain we have gotten, our plants of exploded! We have also froze some strawberries and service berries (aka saskatoon berries, juneberries, etc) and have many more freezings planned. Kale can be frozen fresh or blanched. Follow the step below and see why you may want to take the extra steps to blanch it. High in iron, calcium and vitamin A, C, and K.
Decide if you are going to freeze it fresh or frozen. Freeze some fresh if you know you will be using it sooner rather than later, like for smoothies. 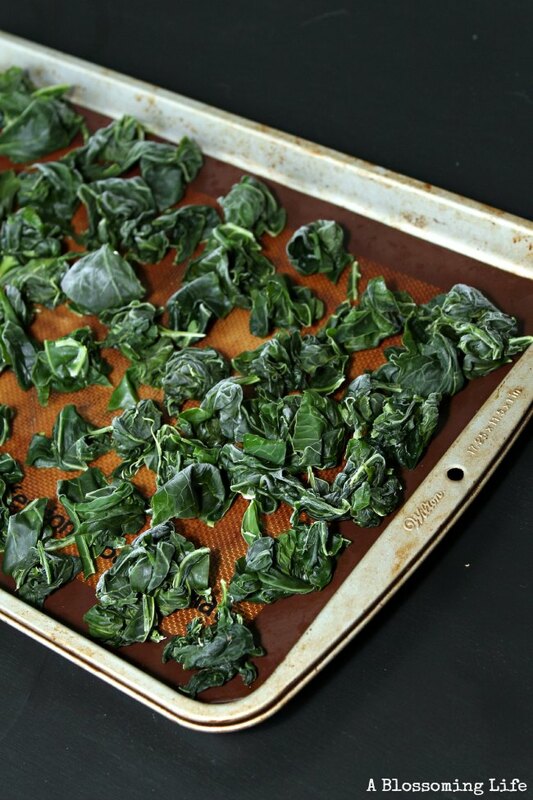 If blanching, freeze them on parchment paper or silicon baking mats to make them easy to remove from the cookie sheets. Dry blanched kale well using a salad spinner or on towels. 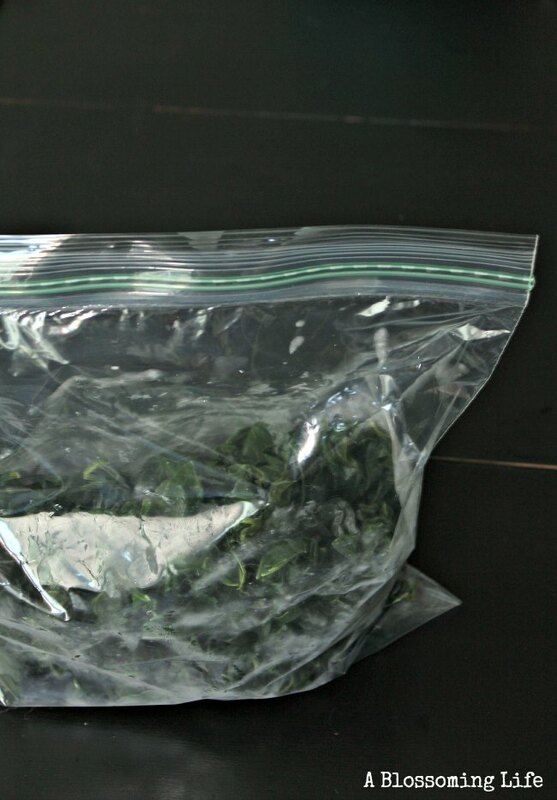 How long can you freeze fresh kale? If you want to freeze fresh kale, it can keep well for 4-6 weeks. 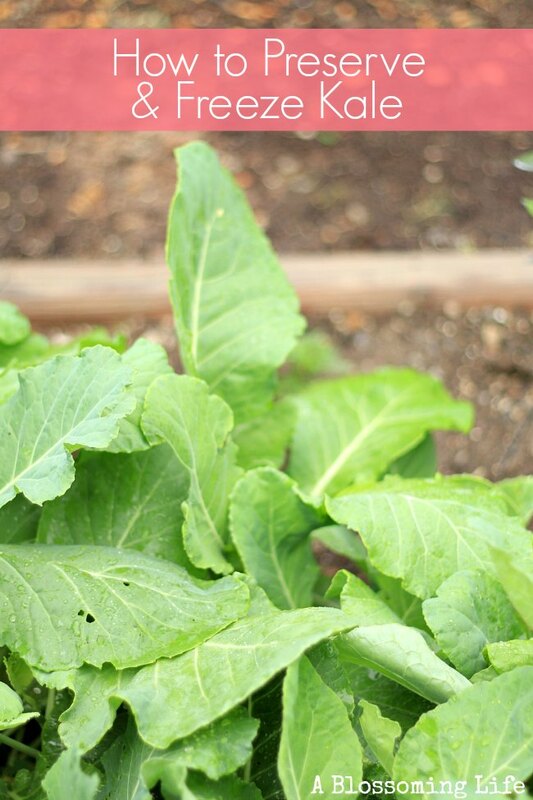 Blanched and stored frozen kale can keep in the freezer for 8-12 months. Yes! Frozen vegetables in general can actually be healthier that fresh veggies if they are picked and prepared at the peak of freshness when their vitamins are at there peak. Fruits and vegetables that have been on a truck for transportation or sitting at the grocery store shelves can start to loose some of their nutrients due to an enzyme they produce called trypsin and chymotrypsin. Some vitamin C and B vitamins can be lost during the blanching process, but the majority of the nutrients are preserved. Want more delicious kale recipes? Check these out! Blueberry Chia Green Smoothie is a great and sneaky way to add in veggies. Italian Rise Dish With Spring Veggies – swap out the spinach for kale. Wash and dry fresh kale. Place in freezer ziplock bags. Use kale within 4-6 weeks or else it may turn bitter. Freezing kale that has been blanched will last up to 12 mo. Perfect timing to freeze your next batch unless you grow more in the fall or course. 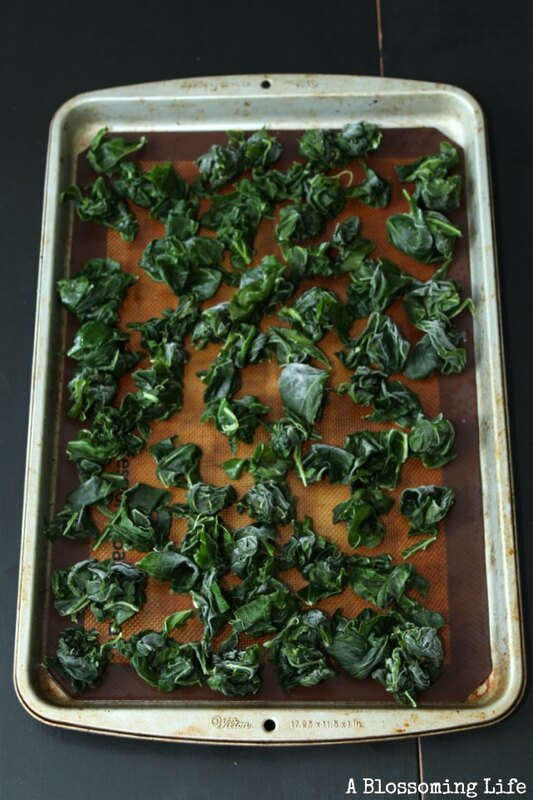 Place kale leafs into the boiling water for 2-3 minutes to kill enzymes and to discontinue oxidation. Next, transfer kale from boiling water into a bowl full of ice water for 2-3 minutes to stop the cooking process and squeeze out the extra water, as best as you can. Lay kale in between a towel and press to remove any extra moisture. Roll into small balls and place on a cookie sheet. Step 6: Freeze completely and place into freezer bags for storage. 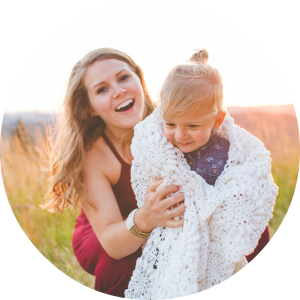 Keep up to 8-12 months. If you want to learn how to freeze more fruits and veggies… you can see these tutorials on how to freeze blueberries and summer squash. We’ve got loads of spinach & chard coming through but forgot about the kale …. will have to get some in for later in the year. This looks fantastic too! It would be awesome if you would share this with us! Please linkup any other recipes to any fruit/veggie category you’d like!